Brand New HD Master from a 4K Scan. 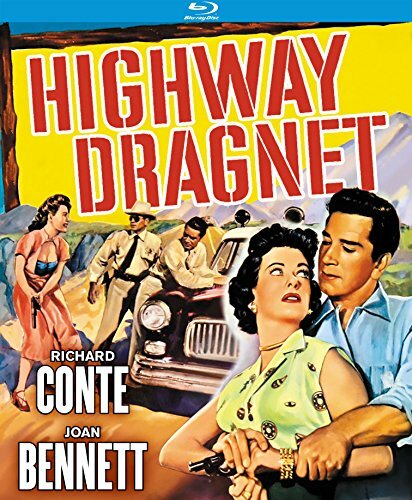 In this film noir classic, an ex-Marine Jim Henry (Richard Conte, Cry of the City, Thieves' Highway), wrongly accused of killing a barmaid, hitches a ride with a photographer Mrs. Cummings (Joan Bennett, The Woman in the Window, Scarlet Street) and her model Susan Willis (Wanda Hendrix, Prince of Foxes, Ride the Pink Horse) while being pursued by Las Vegas Detective White Eagle (Reed Hadley, I Shot Jesse James, Zorro's Fighting Legion), who's leading the manhunt. Top-notch direction by cult filmmaker Nathan Juran (The Seventh Voyage of Sinbad, Jack the Giant Killer) and based on a story by U.S. Anderson (TV's Bonanza) and Roger Corman (Tales of Terror, Premature Burial).